2. How did Londyloo start? I started making headband to control my daughters wild hair when she was first born (plus its pretty hard for someone to mistake your baby for a boy when they have a big flower on their head lol) After I made a few people kept asking me about them. I had mom's ask me to make some for their daughters, but I also had young adults asking me to make them. So I started just making a few and I thought why not call them LondyLoo (a nickname I call my daughter often). I don't have much of a business brain so I made most of them as gifts, but after presser from my 2 sisters I started selling them at a local boutique. Then I discovered the wonderful world of Esty... and thought why not. I still sell a lot off the site, although I'm try to switch that so all of my sales go through the site. 3. How long have you been interested in designing, specifically headbands? I have always loved anything to do with design, crafts, and art..just ask my mom... she always had to clean up the messes. I made doll clothes and purses, drew fashion designs, rearranged/ decorated my room 100x as a kid. So I never really new where is was all going to take me when I got older. But being a creative pastor I get to be creative with graphics and video and with LondyLoo I get to get my scissors and sewing kit out. The sicissor and sewing kit part is what I love the most. I've just been making headbands for a little over a year, and I love it! I make all different styles, some are very me and some aren't something I'd wear myself, but I want to have something for everyone. 4. Where do you get your inspiration? 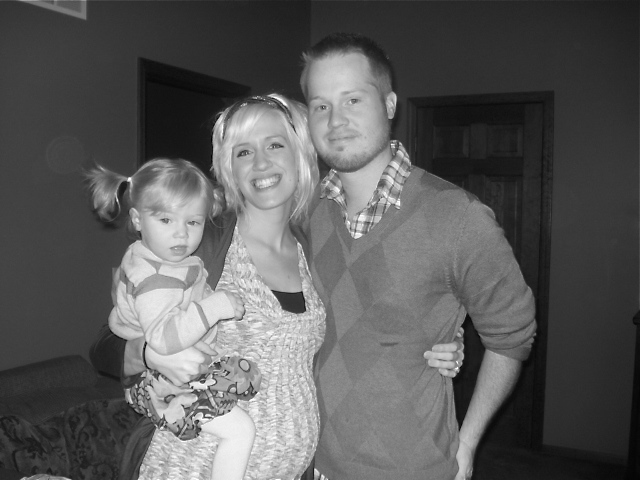 Hmmm... of course I have some blogs that I love .... www.designspongeonline.com, oncewedd.com and now Finders Keepers blog! If I'm creating a custom headband I get my inspiration from the person ordering it (I do headbands and matching onies for little girls birthday parties). Another way I get inspired is just walking around the fabric store.... I LOVE the fabric store. My favorite aisle is the button aisle, makes me smile just thinking of it! 6. What has been the most challenging part of being the owner of LondyLoo? The most challenging part of LondyLoo is finding time to make headbands. I try not to make them when my daughter is awake (because of the mess and needle, buttons and beads are everywhere) Sometimes I get orders for the same headbands and I never really get motivated to make more than one of the same kind. I get bored making the same ones, thats why most of them are one of a kind. 7. What do you do, besides creating headbands? Besides working for and being really involved with church, I love decorating. My husband and I bought a real fixer-upper for our first home so we have been slowly working on making it our own. It's a slow process since the money I wanted to use for decorating had to go to serious things like new water heater, new ac and fun stuff like that. But I love searching for new finds I can fix up at thrift stores or craig list. 8. Where do you see yourself in ten years? Gosh 10 years... Well I'll probably have a few more kids (I want to have a big family). Most likely still be working for (might not be as much since I'll be having more children) and definitely involved with True North Church. I have no idea where LondyLoo will go. I'm happy where it's at now, its manageable and gives me an outlet for my creativity. I'm glad people are enjoying the headbands, because I really enjoy making them. 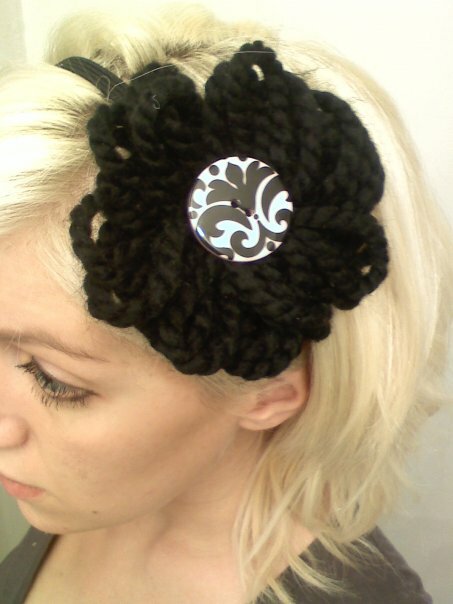 Katie made this absolutely beautiful headband, just for you guys! To win, just leave a comment below with your email address. It's as simple as that! Good luck everyone, and be sure to enter by Thursday, February 11 at 9:00p.m! And please check out the LondyLoo Etsy shop! Ooh I love all her headbands, they are so unique! That's such a unique and wonderful idea! Love LondyLoo and Finders Keepers of course!! 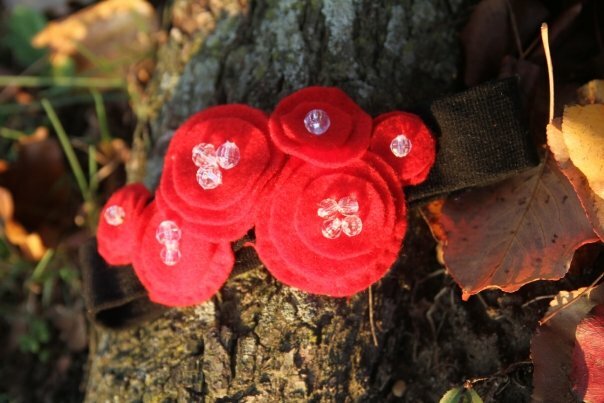 :) This headband is beautiful, what a great giveaway!! What unique headbands! I love them. 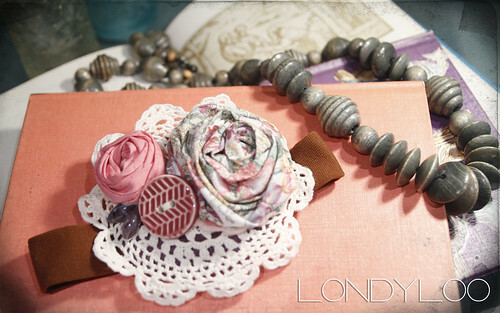 Love the new spring collection of LodyLoo's!! Every time I ware my LondyLoo I feel special and unique since each piece is one of a kind! Pretty! I wish I could make stuff like that. 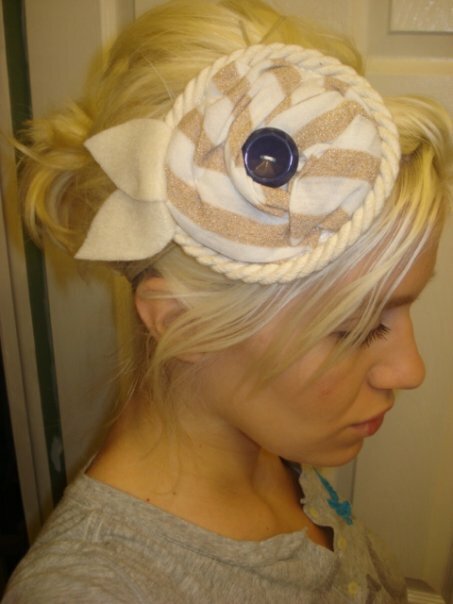 This headband would go perfectly with all the summer dresses I have bought - lovely! Those are some really cute headbands! I want one!!! This would look amazing with a sweater I just bought!!! I especially love the soft pinks of the one on the give-away. Great idea! Sooooo cute! Love all of these! laurenpt AT gmail DOT com. I love all your headbands, Katie!!! I want to join our businesses!!! You are so talented in so many areas. next time I get my hair done (which hopefully will be soon!) I will be over to buy a couple more bands.... I am obsessed! <3 love to you. Those are adorable! I love that first one you posted! So pretty! Ilove the originality and unique things she have. I also find your blog very interestinG!! Great interview! These headpieces are SO adorable! I have been obsessed lately, wearing some crazy ornament in my hair almost everyday! Hope you're surviving the snow up there!! I love these headbands, and they can really spruce up an outfit easily! love your blog, keep it up darling! Great giveaway and interview! The headband is way adorable! I love the colors, well I love everything about it! You do such beautiful work, I love the hair accessories! My friend posted a link to the Etsy store on her facebook, and now I'm obsessed! I want all of these headbands! Always a huge fan and supporter of LondyLoo headbands. I rock my original all over NYC. Cant wait to get my hands on the new spring collection. They're beautiful Katie! I almost lost my breath there for a second. I LOVE roses. They are one of two obsessions I have, so that headband is utterly perfect. All the headbands in her shop are absolutely lovely. I'll definitely be visiting it when I have the money. Last minute entry! 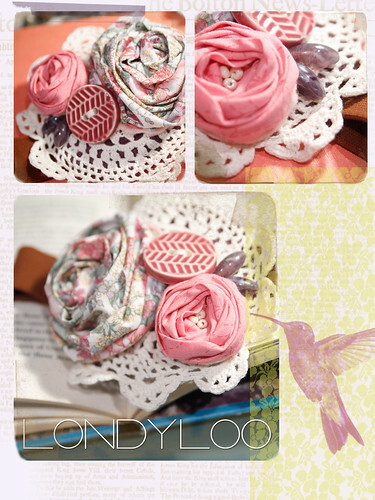 :) A lovely spring headband, very stylish!! LOVE IT!